Happy New Year EmpowerMoments family! We have surely missed you! As we kick off the new year, we are beginning with a series entitled “Testimonies & Lessons”. We believe Revelation 12:11 when it says that we overcome by the word of our testimonies. We pray that our testimony and lessons from last year will EMPOWER you to triumph this year! May God bless you and make 2014 the greatest year of your life thus far! When I found out about our Testimony Series, I started thinking to myself, I don’t really have one. God has me in the season of planting and rebuilding, so breakthroughs and the fruits of this season have yet to sprout. But God kept dealing with me to write about the one thing I don’t want to write about — my Aunt’s death and how it became a testimony in my life. I don’t want to talk about it because it is still too fresh, I am still in denial, and I feel guilty for grieving so hard when I know my cousins are grieving harder. But “to obey is better than sacrifice”. (I Samuel 15:22 NKJV) I am a witness that God can use your gift to bless you. Around the fourth of December I received a call from my Dad that my Aunt had a stroke, was unconscious, and on a ventilator at the hospital. I was so distraught, yet strangely peaceful at the same time. I was almost mad at myself for having that type of peace. My Auntie was a firecracker. She loved hard, fought hard, talked hard, worked hard, everything she did was 1000%, from her love to her anger. She was so authentic. She understood my “not so saint-like” moments. I told her secrets that I was embarrassed to tell others and she would talk me through them telling me what I was going to do! About two or three years ago I noticed my Auntie started acting different. She started talking about the Lord more. I noticed a Shift. She shifted into a woman who became verbally expressive of God’s goodness. As the year progressed her Shift became more evident. As God would have it, I had to travel to Atlanta for work the week she was in the hospital. As soon as my plane hit the ground I rushed to the hospital to see her. I wanted to keep ignoring the voices in my head that she wasn’t going to make it. But I knew what God sounded like; I was in denial. On the drive there I was in a fog. God kept talking to me about my Auntie’s life and how she Shifted. She became the woman He wanted her to be and her time to celebrate with Him had come. At first I was angry because I felt He took her before she could enjoy more of the prosperity that comes with submitting to God’s will here on Earth. I wanted her to experience more of that, but God continued to confirm to me that she had Shifted, and now it was her time. He also said to me in the car that it was time that I Shift. It was time for me to Shift into the boldness of the call of ministry He placed on my life. I didn’t want it. My words to Him were, “God I don’t read my Bible enough. I don’t pray enough. I’m not obedient enough. I’m not good enough. I don’t know enough.” Seeming as though He totally ignored me, He began to give me orders about how He was going to confirm the power He had placed in me, through her. He said these exact words, “When you touch her, she is going to Shift, and then you will know.” I’m thinking to myself, yeah right God. My Aunt died that next morning and I would be lying if I said that I was ok with that. I really wish that her movements weren’t reflexes and that she was in recovery right now, but God already confirmed that the “strange thing” that was going to happen wasn’t to bring her back to us. Rather, it was to use her to confirm His power, that I really do know His voice and should now walk in boldness operating in my gift. Over and over again You show Your power, Your majesty, Your glory, and Your omniscience. I am grateful that my Aunt received Your gift of salvation before she died and that I was able to experience her Shift into the Woman of God You were molding all along. God, it is my prayer that just as You held my hand and guided me to the brink of my Shift, that You do the same for my Sister in Christ reading this EmpowerMoment. Lord, it is my desire that You confirm in her Spirit the direction You will have for her to go and the confidence she needs to get there. In Jesus’ Name, Amen! Ladies, I EMPOWER you to Shift. It is time to put old things away and Shift into a life of obedience with God. Is it time for you to Shift into a new dimension or to Shift some things around? I’ve Shifted to walking boldly in my gift from God. I’m a tad scared at times, but I’m dedicated to learning, refining, growing, and understanding more and more about this gift He has trusted me with. I EMPOWER you to seek your heart and your ways and Shift where God says so. As a professional, Mrs. Khalilah Burton is a university administrator. 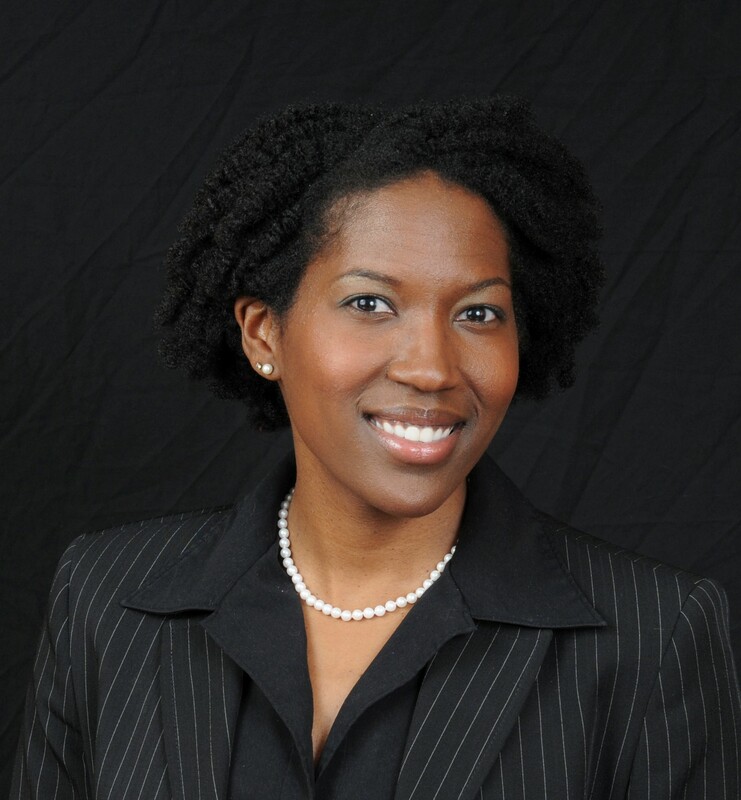 She is also currently pursuing a Doctorate of Education in Community College Leadership. Khalilah is passionate about her faith journey and uses this key scripture as her inspiration: “And we know that in all things God works for the good of those who love him, who have been called according to his purpose.” (Romans 8:28 NIV) Khalilah also serves as a guest speaker and panelist for various events for women and Christian empowerment. Her passion is mentoring young women and marriage empowerment. She resides in Orange Beach, Alabama with her wonderful husband Donald Burton, Jr. and their two daughters. They are members of New Beginnings Christian Center in Foley, AL. When you think of transportation you may only be thinking of your automobile; however, there are millions of people that rely on other methods such as buses, rail systems, bike lanes and walkways on their daily commute. Access to a variety of transportation modes can affect where a person works, provide access to healthy amenities for the community, and minimize environmental pollution. Thank You for gifting me with certain abilities and passions. You have shown me the voids and I ask that You give me the willingness to just do it. Don’t let me vacillate any longer on the things that You have called me to do. I want “The God Effect” to be evident in my life. In Jesus’ Name, Amen! Today I EMPOWER you to review those things that God has called you to do. Has He shown you the void, but you are waiting on someone else to fill it? God is calling you for a special purpose? Step out on faith and start a movement. Allow the God Effect to be real in your life. Has God given you a vision but you are hesitating to follow through? What’s keeping you? Share your story in the comment section. June is Black Music Month! To celebrate, each of our EmpowerMoments will be based on Black music for the entire month. This includes Black songwriters, producers or performers. Stay tuned as we use various genres of Black music to tell our stories and exemplify the beauty of God’s love! Happy Black Music Month! Dance as if no one is watching! I pray this scripture daily. I am certain that when you pray and ask God to use you, you want to be clear of your assignment. If you are not clear, you will find yourself doing a whole lot in the name of God, when it’s really not God. Due to my love and appreciation for God, I found myself adding things to my plate assuming I was doing them for God. God won’t put more on me than I can bear, but I will!!! I was doing this over and over again ignorantly because of my desire to be used by the One who saved my life! Daily I give God permission to send me! I want to die empty meaning everything God invested in me, I want to pour into someone else. God is a businessman! He wants an ROI–Return on Investment! He has invested power, dominion, strength, love, faith, discernment, and much more in me. I must return it by being used by HIM! Lord, just keep on using me UNTIL YOU USE ME UP! I truly desire to be used by You. Please cause the eyes of my understanding to be enlightened that I may know the hope and purpose of what You have called me to do. In Jesus’ Name, Amen! Ladies, I EMPOWER you to be the one that volunteers for God’s service opposed to being called on! Ask and allow God to use you in your home, in the marketplace, and in ministry! I EMPOWER you to allow God to USE YOU UP! Enjoy Bill Wither’s “Use Me” as you reflect on how you want God to use you up! On Sunday mornings when I am on my feet singing along with the praise team during the praise and worship service, I can often see myself up in the choir box praising, instead of doing it from my seat. I go back to being in the youth choir in the church I grew up in, and remember how much I enjoyed it. Then after church I am in the car singing the songs from the service…and I hear myself singing….and I realize that my praises from the pew are just fine! While God loves for us all to praise and worship Him, and He receives them, being apart of the praise team is not what He has called me to do. It’s not my gift to give! Often we get caught up in what we see others doing in the church–on the front line serving as an usher, or a part of the prayer team standing down at the altar, leading Bible study classes–and we think, I could do that….or he isn’t all that great at that. We spend time wondering why pastor chose different people for different roles, and lose sight of the fact that we are all blessed with different gifts from God. All of our gifts are needed for the church to function as He intends it to. When we spend time trying to serve, and give gifts that we don’t have, we take away from God’s purpose for our lives. Be encouraged even if you don’t yet understand your gift, and continue to pray for revelation. On the contrary, those parts of the body that seem to be weaker are indispensable, and the parts that we think are less honorable we treat with special honor. And the parts that are unpresentable are treated with special modesty, while our presentable parts need no special treatment. But God has put the body together, giving greater honor to the parts that lacked it, so that there should be no division in the body, but that its parts should have equal concern for each other. (1 Corinthians 12:22-25 NIV) Continue to fellowship and engage with other Christians, and learn about ministries and opportunities available in your church home because it is possible someone else in the body may have the gift of discernment to recognize your gift! Our heavenly Father gifts us all, and we are called to use our gifts for His glory! Thank You for blessing me with abilities beyond what I could ever think possible. My prayer is that You will continue to impress upon me what I am called to do to build Your kingdom with the gifts You have bestowed upon me. Please forgive me for the times when I have been envious of the gifts of others, because I was focused on myself and not on You. In Jesus’ Name, Amen! 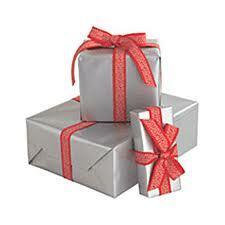 My gifted ladies, today I EMPOWER you to use your gifts! Take time out everyday and thank God for the purpose He has for your life and the gifts He has blessed you with to carry it out! How are you using your God-given talents to advance the kingdom? Share your experiences below. She says I didn’t move in the nine months she carried me in her womb. Her fear was that I would be a stillborn baby, but I have great news. God’s purpose for my life was to be fulfilled outside of the womb and as of this morning at 6:55am CST, our Father has allowed me to make 32 revolutions around the sun for 1,664 weeks and to experience earth’s rotation for 11,648 days. I am grateful for the 279,552 hours, the 16,773,120 minutes and the 1,006,387,200 seconds that I have had to praise Him, to experience His grace and mercy and to fulfill the calling that He has on my life. 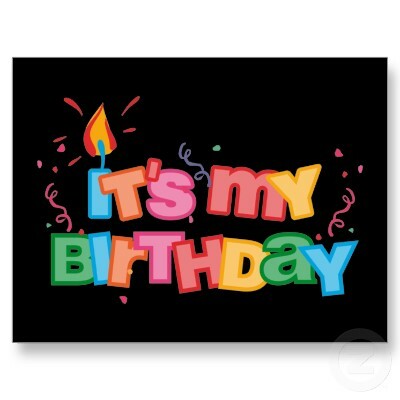 Yes, it is my Born Day! In this age where we can access information at our fingertips in a matter of seconds, there are some things that have not changed. Babies are still being born and people are still dying. Each of us has specific purposes to fulfill before we take our last breath. Some of us are afraid of our purpose because we know that the road to fulfilling our purposes isn’t always easy. As we reflected this past Sunday on Jesus’ death and resurrection, we know that He too did not have it easy on His journey to purpose fulfillment. He was born of a virgin, tempted of the devil, lied on, abandoned and rejected in His most distressed time, persecuted and crucified all so that He could fulfill the purpose of redeeming each of us of our sins. He is the quintessential example of purpose fulfilled from birth to death and eternity. Like Jesus, my journey to discover and executing my purpose was not smooth sailing and if you are honest with yourself, yours probably wasn’t either. Unlike Jesus, I actually succumbed to many temptations of the world. Those things that were “out of my control” (my parents, my upbringing) and my choices to lead a life filled with sin were all a part of getting to my purpose and my testimony. I’m not saying that the road couldn’t have been different but I do acknowledge that the awful rebellious stage I went through in high school and later being arrested for a crime I DID commit were a part of what Paul was speaking of in Romans 8:28 And we know that all things work together for good to them that love God, to them who are the called according to his purpose. (KJV) Those things are not only a part of my testimony but they are a part of my purpose. So what’s the 4-1-1 on your purpose? Thank You for birthing me with promise and with purpose. Lord, please do not let me die without fulfilling the many purposes that You have given me in this lifetime. Help me to obedient to Your word and Your will for my life. Everyday help me to remember it as another chance to worship You and fulfill Your calling on my life. Through trials and tribulations, let me remember that these things must come so that Your purpose can come to pass. In Jesus’ Name, Amen! Today I EMPOWER you to seek God for your purpose. Talk to Him daily and make sure you are following His will. Surrender your will to His will. Fill that dash between the anniversary of your birth and your death with the purposes that God has called you to fulfill. Do you feel like you are fulfilling God’s purposes for your life? How? If not, why? Share with us below. In honor of National Women’s History Month, EmpowerMoments is featuring a special series called ‘She is Me’. Each writer will parallel her own life with that of a Biblical woman to enlighten and EMPOWER you. Cheers to being a WOMAN! Unlike Renee`, (see She is Me: Deborah), I desired to have a leadership role like Deborah in ministry. Desired is probably an understatement; craved is more accurate. I was a leader in my professional life and even in my family and personal life, so it just made sense that I would be a leader in ministry as well right? WRONG! God not only did not elevate me, but He sent me to a church where NOBODY knew me. After much personal struggle and attitudinal pleas to God, I finally repented and submitted to God’s will for me in the area of ministry. This is where my life began to parallel Jael’s. First, Jael was a tent dweller. One major characteristic of tents are they are highly portable (easy to move from place to place). We can conclude from this that Jael lived a life in which she had to be ready to move at a moment’s notice. Once I submitted to God, He began to teach me that I had to always be ready to act when He needed me to. The Bible tells us that Sisera’s army was defeated. Deborah, Barak, and the Israelite army had done their duty: “…all Sisera’s troops fell by the sword; not a man was left…Sisera, meanwhile, fled on foot to the tent of Jael…” (Judges 4:16b-17a NIV) There are many things in our lives that in large part we have been delivered from; however, residue of those things still exists in our life. God desires for our enemies to be TOTALLY defeated and in order to do that, He raises covert assassins. Jael was one such assassin. God has taught me that I’m not a Deborah in ministry but a Jael. Sisera felt comfortable going into Jael’s tent because he was familiar with her family. “Sisera, however, fled on foot to the tent of Jael, the wife of Heber the Kenite because there were friendly relations between Jabin King of Hazor and the clan of Heber the Kenite…” (Judges 4:17 NIV) God has sent people into my life several times who were struggling with spirits I was “familiar” with in the past. Those spirits were comfortable being around me because I was supposedly not a threat to them. Jael invited Sisera into her tent and treated him VERY good. Sisera was thirsty and asked for some water. Instead of water, Jael gave him milk, giving him more than he requested. (See Judges 5:25) Jael gracefully lulled him into a false sense of security. By treating him so well, he assumed that she was on his side and that he was safe. Having a full stomach also makes a person more tired, especially after a hard day. All of this combined caused Sisera to fall asleep without too much worry about being attacked. Little did he expect an attack from the woman who was treating him so kindly. God has allowed me to have relationships with many who come from various backgrounds, different religions, and who struggle with a range of strongholds. God has directed me to show hospitality to them and allow them to “relax” in my presence. “…But Jael, Heber’s wife, picked up a tent peg and a hammer and went quietly to him while he lay fast asleep, exhausted. She drove the peg through his temple in to the ground, and he died.” (Judges 421 NIV) However, just like Sisera, they let down their guards and become comfortable around me. I quietly begin to PRAY and come against EVERY stronghold, cancel every assignment of the enemy and war in the spirit realm to KILL everything that is keeping them from being who God has called them to be. My journey has taught me that everyone God has called to ministry is not supposed to be in the pulpit or even on the microphone. God has raised some covert operatives. My assignment is to pray. I have learned to accept my assignment and carry it out with diligence. Jael’s obedience to God quite arguably changed the course of history for the Israelites and she is only mentioned in a few verses of the Bible. However, had she not accepted it because it wasn’t an upfront position, who knows what could’ve happened. Sisera may have gotten away, raised another army, and went fought the Israelites again. Thank God for silent assassins!! Thank You for the assignment You have given me in ministry. I understand that there are no “small parts” in ministry. I understand that everything done in ministry is supposed to bring glory to You. I also understand that my obedience is connected to so many other destinies. I ask that You continue to make me sensitive to your spirit. Help me to carry out the assignments that You give me diligently and effectively. In Jesus’ Name, Amen! Ladies, today I EMPOWER you to pray and seek the Lord for what He wants you to do in ministry. Accept your assignment and start carrying it out. There are so many that God has for us to minister to, pray for, feed, cloth, preach to, etc. We HAVE to get on our jobs! Today is the LAST day! Enter here for your chance to win our women’s prize pack! GREAT NEWS: We are extending our She is Me Series and contest for another week! It was Tuesday and yet I was already thinking about a meal that I would prepare for Thursday. We weren’t having company; however, I wanted to do what I love and cook a really nice family meal. I took out meat and seasoned it and cut up vegetables to roast with it, all in preparation for Thursday’s dinner. This isn’t anything out of the ordinary. I love to cook. That is my gift to others and how I show love. Nary a person enters through my door that I don’t try to fix a meal for and I am even known to visit others and take over their kitchen. Not only is cooking my therapy but it is an area where God has anointed me to bless and show love to others (if I do say so myself). Like the Shunamite woman, God gives each of us gifts; however, when we operate outside of our anointing we can miss the opportunities that He has for us. The Shunamite woman recognized that Elisha was a man of God and showed love through her gifts. Her ministry was hospitality, but yours may be writing, entertaining, speaking, teaching or discovering. What is your ministry to others? Work in your gift and watch it make room for you. Thank You for anointing me with my gifts. Lord, Your word says that my gifts will make room for me and bring me in the presence of great men. So, God I ask that you help me operate excellently in my gifts so that they will do just that. Help me to use my gifts for Your glory so that I don’t cast my pearls to swine. If something I am “good at” is not my gift, please show me so that my ministry to others is what You want it to be. Thank You for blessing me with gifts that will enlarge my territory. In Jesus’ Name, Amen! Ladies, I EMPOWER you to discover your gifts and use them like the Shunamite woman. Learn from her and do what you love in a way that blesses others. I assure you that God will reward you for it. Our Women’s Month Contest has been extended! Enter Now!